United Kingdom Prime Minister Theresa May visits Florence, Italy to deliver speech. Photo by Number 10. 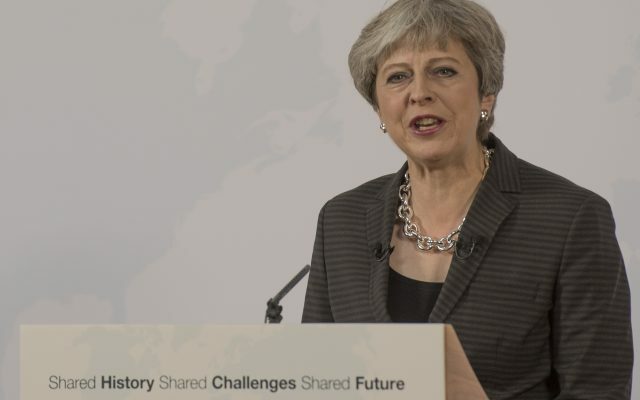 Theresa May’s speech in Florence, Italy was billed as the announcement of a bold new Brexit strategy, but Dahrendorf Forum Working Group Co-Chair Kevin Featherstone was left cold. Listening to Theresa May’s speech in Florence, I was left wondering whether she had planned to say more but was stopped from doing so by her warring cabinet yesterday. After all, this was heralded as a speech that would set out a bold new vision for the UK’s post-Brexit relationship with the European Union. The superlatives had been flowing for the last couple of weeks as to how it would take the negotiations forward. And the very idea of making the speech outside the UK seemed consistent with her taking a daring new step, without risking an immediate hostile reaction from a home audience. In reality, the Prime Minister’s speech offered very little that would take the Brexit negotiations forward at this point. There was the expected statement on the UK honouring its budget payments so that none of our partners would have to pay more or lose out in the current EU budget period – which lasts until 2020, a year after the UK is to leave. But the PM dodged the question as to whether the UK would be prepared to pay for continued single market access thereafter. Platitudes were repeated on protecting the rights of EU citizens in the UK and avoiding a new Irish border. Instead, what Theresa May said seemed to be what her cabinet had allowed her to say. Had the PM – caricatured as ‘robotic’ – been planning to go further, but had her navigation system terminated? We may not know for some time. The speech seemed more designed to make progress at home. It was a composite of compromises worked out in the cabinet. As such, it was a mix of the delusional and the educational. The PM again recognised that access to the single market rested on accepting its full obligations. Going beyond earlier ambiguities, she now said the UK would not be part of the customs union. Explicitly, neither the Norwegian nor Canadian models would suit the UK, nor, it now seems, would that of Turkey. And, yet, she would expect the UK to be able to trade with the EU without there being any tariffs. In reality, she seems not to be rejecting the Canada model, but seeking to broaden it. The Canadian deal offers little on services, precisely the sectors where the UK has an advantage with the EU27. Beyond this lack of clarity of models, though, there still seemed to be a cake-and-eat-it optimism that will no doubt irk the EU’s chief negotiator, Michel Barnier. The speech may help to educate a domestic audience on some aspects. Asked whether Brexit voters might feel let down by a transition that would delay full withdrawal, she responded quite rightly that a phased implementation period was best for all sides, to avoid the costs of a disorderly Brexit – though she rather undermined her own argument here when she repeated the claim that ‘no deal is better than a bad deal’. An opportunity was clearly missed by the PM. It is difficult to see how this speech will progress the negotiations in Brussels. Can this PM redefine the agenda and make a breakthrough? That now seems to depend on the lurking shadows back home of Boris Johnson and others waiting to wrest control. Next time Theresa May is said to be setting out a new way forward, will we believe the hype or just check back with her rivals? Kevin Featherstone is Head of the European Institute at LSE and Co-Chair of the Dahrendorf Working Group on “The Future Of European Governance”.